Of all places on earth, why Hawaii? I know it was my idea to drive there, but I don’t know why we did it. Sure, it was February, when winter starts to feel like a never-ending slow, icy death, and Hawaii is warm. But Florida is warm, and you can drive there in a car – on good roads. Could anyone make sense of a plan concocted by four inebriated high-school teenagers in the men’s room of a bowling alley? On a Saturday night? In 1965? Fifty years ago this month! The golden anniversary of the first bewildering adventure of my adult life. 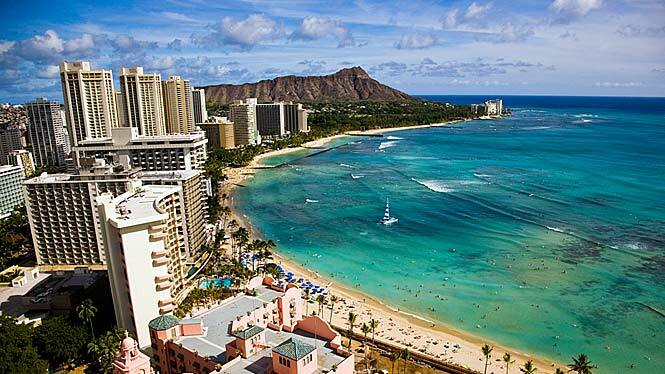 The Waikiki beachfront, Hawaii. Our dream. It was the holiday weekend of Washington’s Birthday that year. In those times, the holiday was celebrated on the man’s actual birth anniversary date, February 22. It was more than an excuse for another three-day weekend every year. That year it happened to be a Monday so we were partying our way through that rare three-day weekend – no school until Tuesday! Saturday night, the 20th, I was out with three guys. 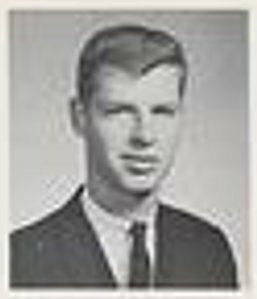 One was Dave K, from Audubon, NJ. I knew him as he had courted my sister. He had a friend, name lost to the muddle of alcohol and history, who had just acquired a stately 1954 Chrysler sedan. A teen-ager who owned his own car was unusual in those times, and it made you instantly popular. Naturally, the Chrysler owner had a best friend, name also lost, so that made four of us. Other than driving around and drinking beer, I have no memory of what we were doing that Saturday night, or why. Around 11 PM we were at Baker Lanes in Cherry Hill. You could bowl there sure, but they also had pool tables and a few pinball machines. It was a place to hang out and not get hassled much. The Hawaii plan, such as it was, got hatched in the men’s room. I don’t know how we all came to be in there at the same time, probably we were leaving and wanted empty bladders to go. Hawaii was my idea. Probably we just started talking about where to go next, and things escalated. It wasn’t every Saturday night we had the luxury of a car. We could have decided on Atlantic City, or Philadelphia or even the Pine Barrens with its ominous Jersey Devil. Instead, we agreed on Hawaii. We pooled our money. The travel budget was around $37. That wouldn’t get you a tank of gas today, but it was a tidy sum in 1965. It might not get you to Hawaii, but it seemed enough to start. First, we acquired more beer, put it in the trunk for cold storage, fired the big Chrysler six-cylinder, snapped on the headlights – and rolled merrily in the direction of the land of leis and alohas. No parents were notified. Permission would not have been granted, and, of course, they wouldn’t understand anyway. I was just 18; don’t know about the others. The Dave from Audubon fellow looked something like this. I was exhilarated as we took the rise of the Ben Franklin Bridge over the Delaware River. The toll was 25 cents, same as it had been since it opened 39 years before in 1926. Today that toll is 10 times as much. The lights of Philadelphia were brighter and more dramatic than I’d ever seen them. Out the window I could see bums huddled against the cold in Franklin Square. The folks we call “homeless” today were just bums in the sixties. And the bums weren’t going to Hawaii! I guess traveling was just in my nature. I always wanted to see what was around the corner, over the next hill, in the next town, on the beach, over the horizon, across that ocean. Wanderlust they call it. When I was four or five I’d get out to play in the backyard, and soon I’d be half a mile away – in the woods, in the park, at the big cemetery across the big highway. At 10 or 12, I’d hitchhike to Atlantic City and back. The year before the Hawaii adventure I’d hitchhiked up to New York to visit the 1964 World’s Fair – up and back in one day, no parent any the wiser. And now, just a month after turning 18 I was throwing all the kid stuff away and heading for Hawaii! Maybe I’d go all the way around the world. I was young, and there were no limits. The challenges of Philadelphia’s Schuylkill Expressway soon terminated at the entrance to the Pennsylvania Turnpike at King of Prussia. Toll ticket in hand, now we were really on our way. Westward in the night, I’m not sure we understood just how deadly boring the Pennsylvania Turnpike is. Except for the commercial rest areas and a tunnel or two through the mountains, every mile looks just like every other mile. It’s a road originally designed to be driven 100 mph on the straightaways and 70 mph on the curves. Neither our old Chrysler nor the Pennsylvania State Police were having any of that 100 mph stuff. If not for the cold beer in the trunk, good sense might have descended upon us in the boredom of that long, dreary highway. At the other end we woke up, so to speak, somewhere around Pittsburgh on Sunday morning. I think that’s where the first rumblings of mutiny began. It was overcast and gray and generally hungover. Breakfast lifted our spirits a bit, and I managed to quell the unsettled psyches with tales of Waikiki Beach (as I’d remembered it from the Arthur Godfrey TV shows). Warm surf and sun and hula girls were our future, not gray Pittsburgh. 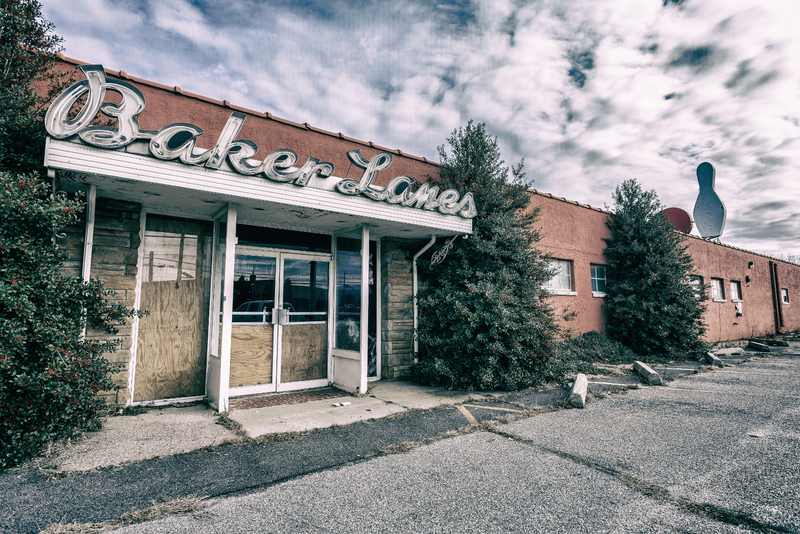 Baker Lanes today — where it all began. Opened 1958, closed 2011. By midday Sunday we were someplace in eastern/central Ohio. I’ve always remembered we were near Columbus, but no one knows for sure. Around noon the snow began. Thoughts of Hawaii should have propelled us through that snow, but traffic got in the way. We were on an Interstate Highway, probably I-70, but the snow had stopped traffic. As we sat in a gridlocked and snowbound car, the rumblings of mutiny grew louder. The lure of Hawaii could hardly be seen through the blowing snow. The turning point came when Dave opened the door, stepped out and said, “I’m going home.” We watched silently as he disappeared walking among stopped cars and flying snowflakes. We never saw him again. I think the story was that the cops picked him up, contacted his parents, and he was spirited back to Audubon, New Jersey. That left three of us – myself and two guys I hardly knew. I argued we could head for Chicago, sell the car there and have enough money to take a bus to California. Without the beer, my sales skills could not prevail against the cold and snow outside the car. And these two guys had probably never been away from home overnight. It was my idea, but it wasn’t my car. Soon enough we got turned around and started back toward South Jersey. First time I’d ever heard of Hawaii being snowed out. The return trip wasn’t as carefree as our drunken beginning had been. We were low on money; may not have had enough even for gas. So tolls ruled out the Pennsylvania Turnpike. That put us on back roads in a snowstorm, at night, in the western Pennsylvania mountains. No, it wasn’t my car, but I became the late-night driver. The Chrysler owner was probably too tired to keep going. I didn’t have a license and my only driving experience was moving a few cars around a parking lot at a dealership where I had a part-time job washing cars. Naturally, it made sense to teenage-minds that I could handle snowy mountain roads in the dark. That proved a bad decision when we found ourselves parked against a big tree down the side of one of those mountains. 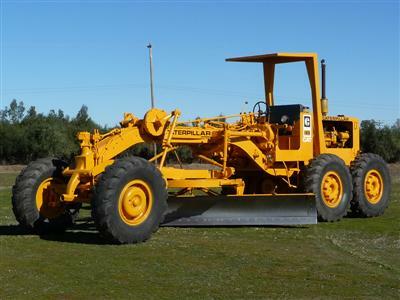 In those times they often used big road graders to clear snow from highways; you don’t see that much anymore. A road grader happened along and pulled us off the side of the mountain. The car was still drivable so the owner once again took the helm. My goal of Hawaii was diminished, but even after all we’d been through it wasn’t totally hidden by the snow. I offered that if we could get to Allentown, I knew a minister and his wife living there, perhaps they’d help us. They were the grandparents of my girlfriend from Pennsylvania. She was from up near the New York border, but she had visited her grandparents around Christmas. I’d taken a bus up to spend some time with her there. So, Allentown became the goal. I suspect my adventure mates probably planned to drop me there, and good riddance. We’ll never know as it never came to that. 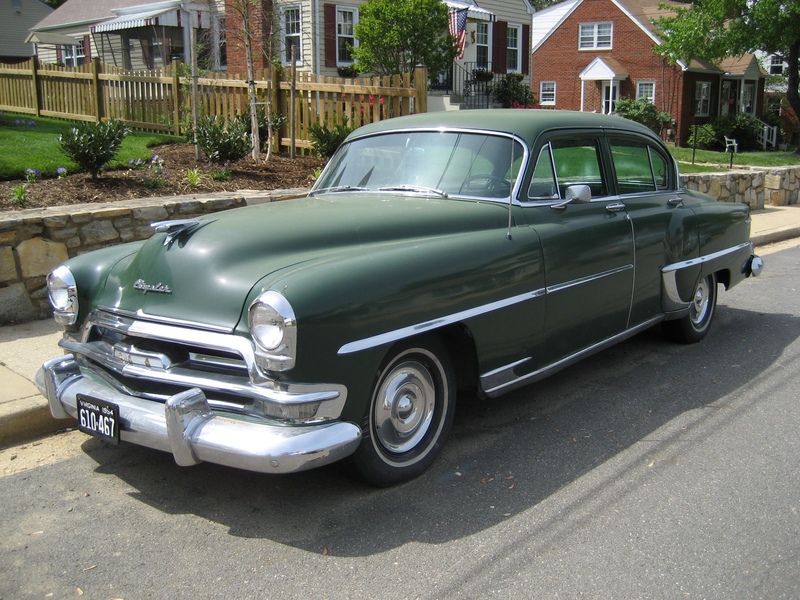 The means to adventure, a 1954 Chrysler. I don’t know how much longer the Chrysler lasted, most of the early morning hours through western Pennsylvania. Probably around daybreak Monday (George Washington’s birthday anniversary – he would have been 233 years old.) we began hearing a knocking sound coming from that six-cylinder engine. Finally, the engine stopped altogether. The engine had “thrown a rod” some mechanic told us. The car wasn’t even going to Allentown, let alone Hawaii. My dream was finally buried under icy winter snowdrifts. Parents were called, I presume. I don’t recall much except it being a blindingly bright winter day after the storm had passed. I think police were involved, but some parents (not mine) came out and picked us up. The next day we were all back in school, having had an adventure no other student could match on that long holiday weekend. Sometimes I wonder if any of those other guys ever got to Hawaii. For me I kept on the journey; this had been just a sad, snowy detour. Three years later, in July 1968, I had a lanai suite on Waikiki Beach, just like I’d imagined. The toll on the Ben Franklin Bridge had gone up by then, but it didn’t matter as I was coming from the other direction this time. I was on a seven-day R&R from Vietnam, compliments of the United States government. Whatever it takes. 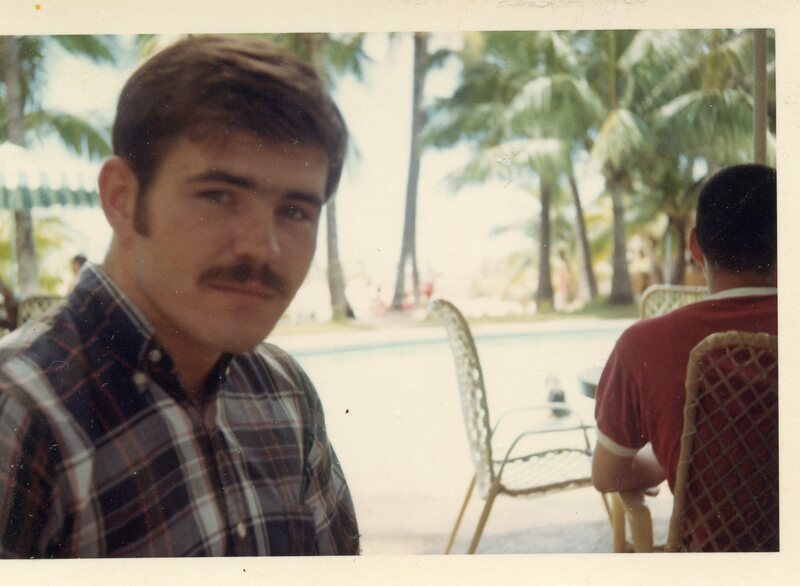 At Waikiki Beach, summer 1968. I very much enjoyed your travelogue. Your description of the PA turnpike was so spot on. My husband and I travelled that route between Cincinnati and eventually Runnemede for 30 years until we discovered the southern route through Maryland, which ended up being faster and more scenic. I guess we sort of lost touch. Too many surgeries and months in rehab of the physical kind and I’m so much better than I have been for years. Time for me to go back and read what I have missed of your Blog. Glad to hear you’re doing well, Judi!